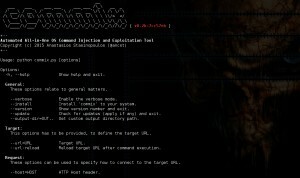 Browse: Home / Commix v1.2 – Automatic All-in-One OS Command Injection and Exploitation Tool. * Added: The ability for setting custom (PHP / Python) working directory. * Fixed: License file minor inaccurancy issue has been fixed. * Revised: The Windows-based payloads for every supported technique, had been shortly revised. * Revised: The dynamic code evaluation (“eval-based”) technique has been shortly revised. * Added: New tamper script “space2tab.py” that replaces every space (” “) with plus (“%09”). * Added: The ability for generating powershell attack vectors via TrustedSec’s Magic Unicorn. * Added: The ability for checking if there is a new version available. * Added: The ability for target application extension recognition (i.e PHP, ASP etc). * Fixed: Minor improvement for finding the URL part (i.e scheme:[//host[:port]][/]path). * Fixed: Minor fix for conflicted shells (i.e regular, alternative) from session file. 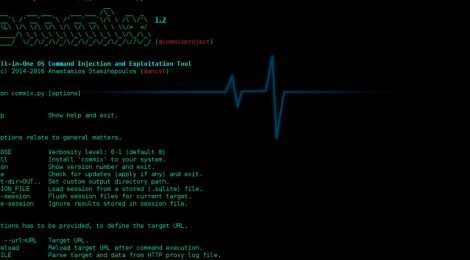 ← Brosec v1.1.6 – An interactive reference tool to help security professionals utilize useful payloads and commands.